Hiring a professional pest control service provider or exterminator offers several advantages over attempting to control and exterminate pests such as rodents, cockroaches, spiders, termites and ants in and around your property on your own. Professionally trained pest control service providers can resolve and prevent infestation, and also intervene on an emergency basis. Professional pest control service providers perform extermination procedures using highly potent chemicals to eradicate certain types of pests. They can set up termite and pest-baiting systems, and also protect the home or property from infestation by administering treatments on a weekly, monthly or quarterly basis. Unlike do-it-yourself pest control kits, professional pest control services can treat and prevent infestations over the long term. When working with a professional pest control service provider, you may be able to choose from the following types of services: pre-treatments for new construction, perimeter treatment to exterminate pests before they enter the home, emergency services to remove hives and kill pests that may be populating a certain area of the home, termite monitoring systems, infestation inspections, sanitization services, and sealing and caulking of certain structures to eliminate avenues of entry. When working with a pest control service provider, the first step is to undergo a thorough inspection. The provider will be able to document each area of the property that has been or is at risk of being infested, and will also take a close look at the types of pests affecting the area. The professional may also ask you what types of pests you have seen or encountered. After the inspection report is complete, the service provider can provide you with a proposal of services that may include pre-treatments, extermination treatments, sanitization and follow-up treatments. The key benefits of working with a pest control professional instead of attempting to eliminate pests on your own include thorough evaluation and inspection of your home that may detect areas that you did not know about, use of chemicals and compounds that do not damage the interior and exterior of the home, and the ability to close off all avenues of entry with general repair services. Pricing for professional pest control services can vary from region to region. Your quote will depend on the size of the home, the size of the lawn, whether you need interior and exterior treatments, the number of treatments you need over the recommended treatment plan, and the number of hours it will take to perform your required services. You can request for a site inspection with a breakdown of all services and rates so you know exactly what to expect from the service provider. 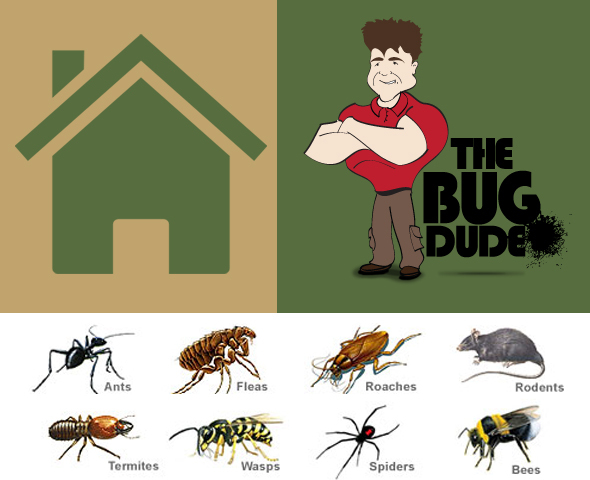 Be sure to contact The Bug Dude for all your pest control needs.